I always joke that Roma was born a bit of a tomboy. From pretty much the start she has been into mischief, full steam ahead and has a love of cars, bikes, dinosaurs and being 100 miles an hour all of the time! Of course some of this invariably comes from her sister who wouldn’t be seen dead in hot pink, rarely even wears what she calls ‘pretty’ dresses, labeling them ‘too girly’ and shopping in the boys sections more often than not. And some from me too, I’m hardly the girliest girl ever and very much love to give them the opportunity to explore their interests without too much gender bias. Or as much as I can get away with in todays society. But really I guess it comes from her just being seemingly naturally self assured and confident, to have been raised to like what she likes and not to over analyse that. And that she does, because as much as she loves all the aforementioned stuff, she also loved dollies, is the most caring child ever and seems to instinctively know how to look after a baby despite never actually being around them all that much and it melts me heart to see that she is comfortable wherever and whatever she is doing. 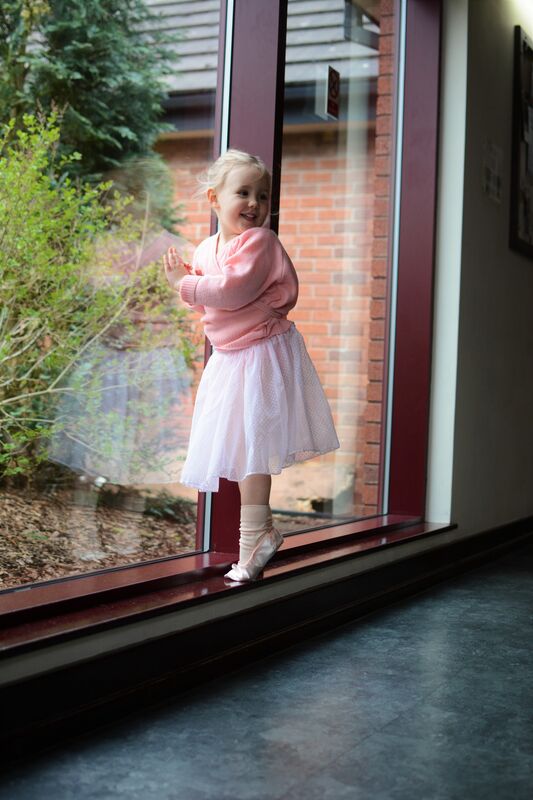 For as long as I can remember though she has wanted to start ballet. 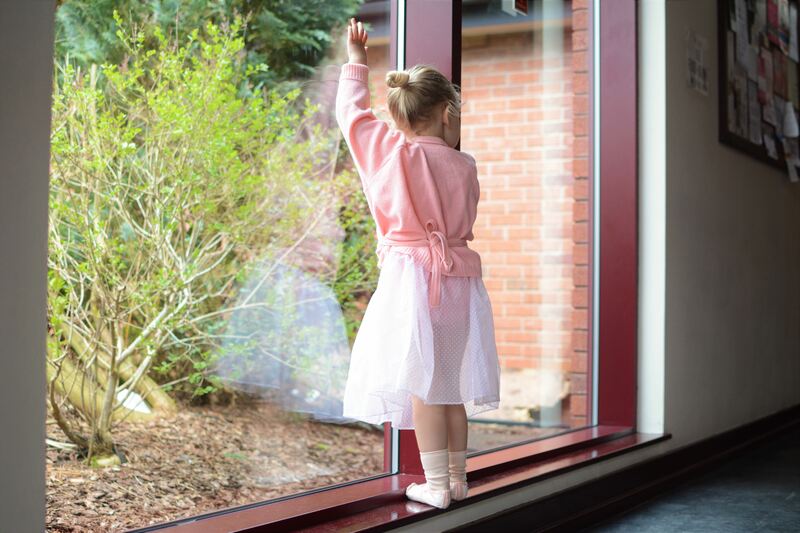 She has very vocally counted down the days until she was 3, therefore ‘old enough’ and told everyone who would listen that as soon as it was her birthday she was starting classes, there really was no question, no matter how out there it seemed for her. I don’t know where it came from. Eva has never been into attending classes at all, always much preferring to stay with me. 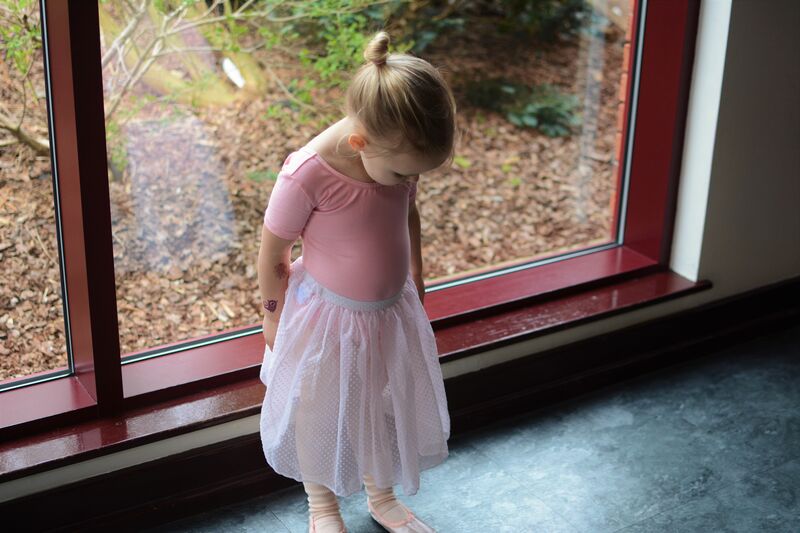 We did try her numerous times don’t get me wrong and we even went to a ballet class years ago but it just wasn’t for her and so once my little tomboy came along I just kind of assumed I wouldn’t be that ballet Mum, and I was ok with that. She is a constant surprise though this one, with her blonde hair and big eyes she has always danced to the beat of her own drum, so to speak. I didn’t ever really think I was missing out on anything. But boy do I now know what I was! Oh my gosh that first class as I watched her confidently gallop around the huge hall with just two other children where she suddenly looked so tiny again. I felt tears prick in my eyes and tried, but failed, not to let them roll down my face as I smiled a huge smile every time she caught my eye. 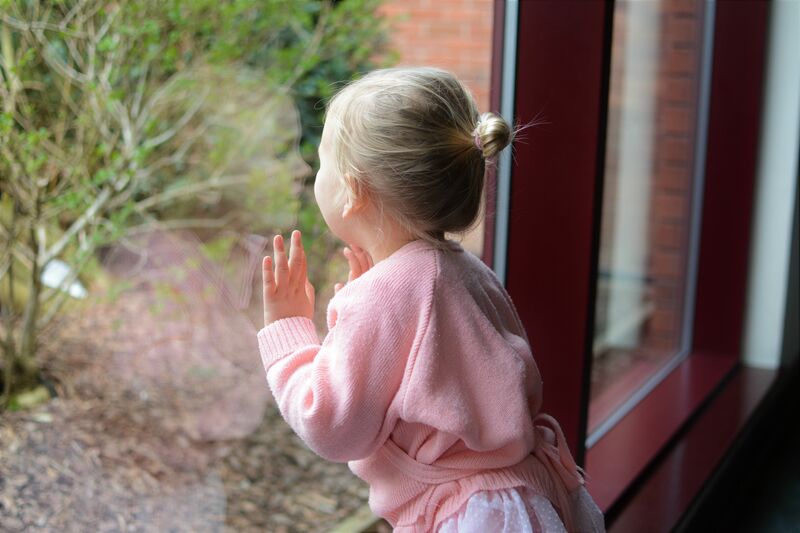 Still now a few months on and every single time I see her in that head to toe pink getup, that blonde wild hair wrapped up in a tidy little bun lining up confidently throwing a casual wave to me as I wait in the foyer, it just never ever gets old. I want to be a fly on the wall each and every week. 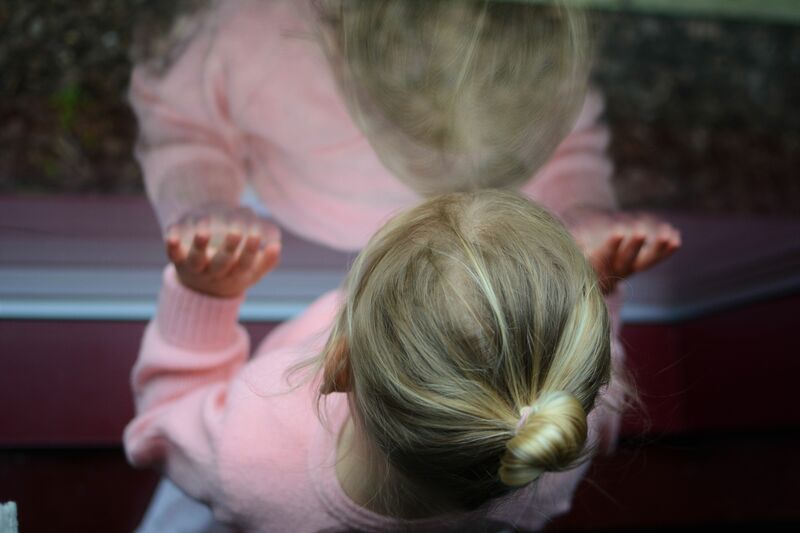 Today I stood at a little window at the back of the hall watching her (my little elephant whom would always run rather than walk, climb rather than sit still and whom I never thought of as graceful) so elegantly and innocently copying the teacher, exchanging giggling glances to her now ‘friends’ that she sees only for an hour a week yet gets so much joy from and I just can’t stop myself from feeling emotional. As they then moved on to tap dancing (secretly her favourite part, I think it’s the noise!) I stared at her tiny tiny silver tap shoes that she chose over the black, her toes tapping behind her in time with the teacher and the music, in sync with her friends in a little routine and I thought my heart would actually burst mouthing ‘it’s just too cute’ with the other ladies who stood there too. Thankfully they didn’t spot us because it must have been the strangest sight just 4 Mums floating heads squished together through a tiny window just staring at them! They would for sure think we were a little bit crazy as to them it is fun, and just normal. But it is so very addictive. Something we all now have in common. We sit in the foyer, 4 people whom have never met before, chatting and putting the worlds to rights and as much as Roma now has friends she only sees once a week, I do too. I may have thought that this extra hour would be a gift to my productivity, I envisaged smashing emails whilst sipping a coffee, it has actually brought so much more than that and I wouldn’t have it any other way. That teamed with me panic searching google and youtube of ‘how to sew elastic into ballet shoes’ means I now really do feel like a dance Mum. Yes it makes our Mondays a little manic, it means we have to hang around for school pick up 45 minutes early every week. But at the moment, and whilst it lasts, it is probably one of my most favourite parts of the week, not to mention Roma, it is hers too! 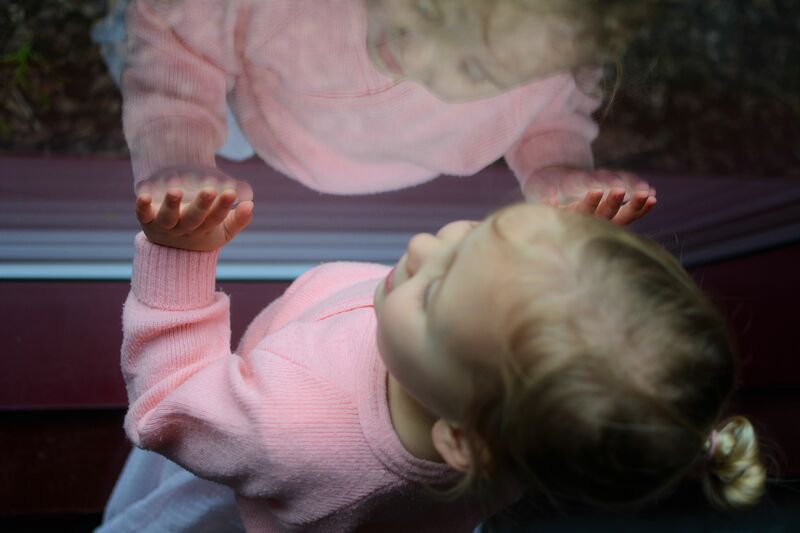 I took my camera with me one week and I feel like these pictures sum her up completely. 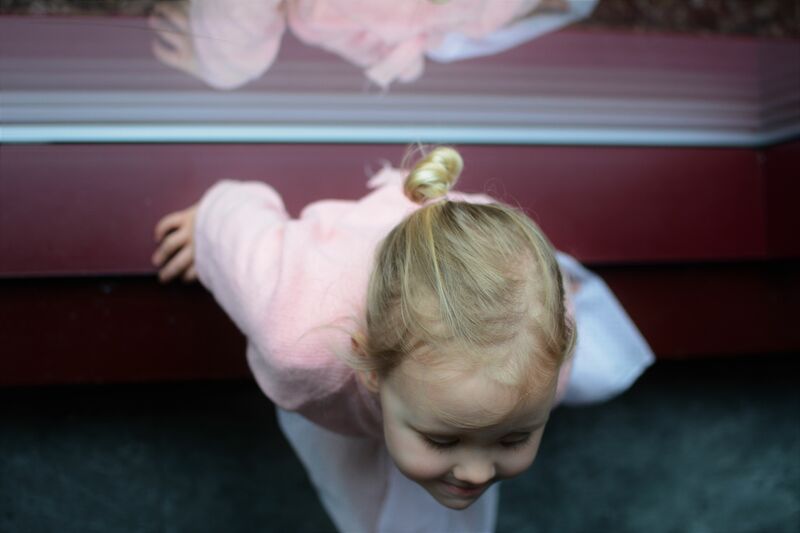 She is perfectly put together fully dressed as a ballerina complete with a cute as a button bun…but if you look closely, she also has a monster tattoo. 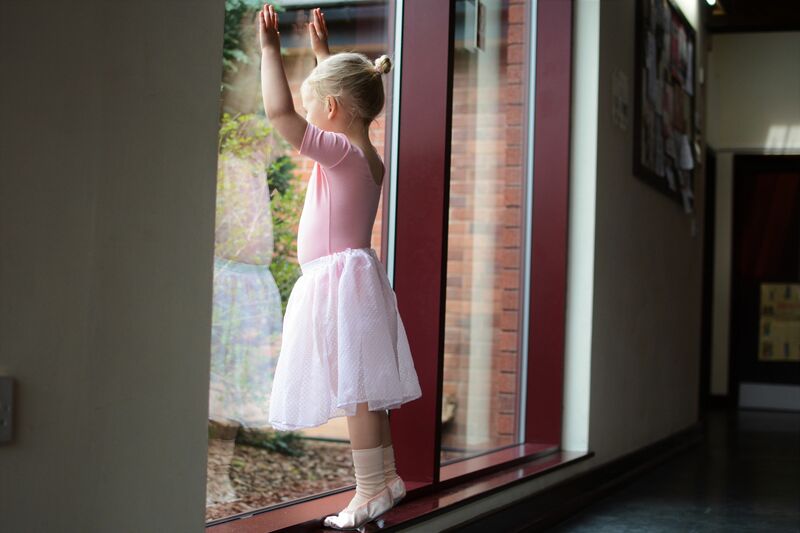 My beautiful tomboy ballerina at her best.